Residents are invited to experience one of the world’s most historic celebrations when the Chinese Moon Festival comes to Fortitude Valley’s Chinatown Mall on Friday 16 September. Lord Mayor Graham Quirk said The Chinese Moon Festival was one of the most important festivals in China and was traditionally held when the moon was at its fullest and brightest throughout the year. “Brisbane is home to a range of cultures and customs that define our city as a vibrant and inclusive place to live, work and play,” Cr Quirk said. “Along with the many culturally-diverse events celebrated in Brisbane each year, the Chinese Moon Festival is a chance to bring people together and recognise the city’s multicultural identity. “On September 16, Chinatown Mall will come to alive with lion dances, fire shows, roving entertainment, firecrackers, live music and entertainment. “Visitors can experience authentic Chinese cultural demonstrations ranging from martial arts to traditional dance and music performances, as well as lantern making workshop enabling them to take home a souvenir from the occasion. 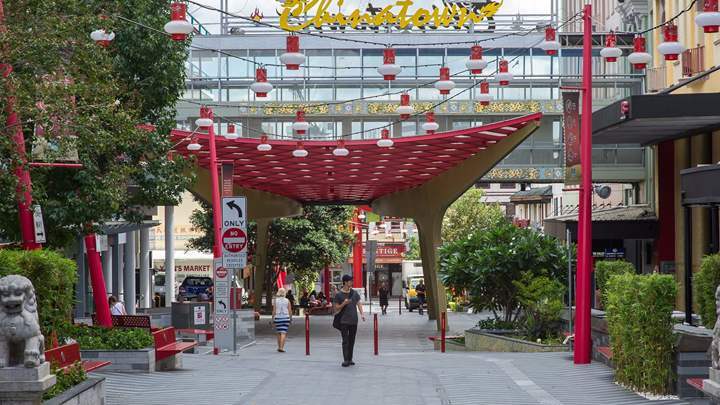 Local Councillor Vicki Howard said Council continued to invest in the Chinatown Mall and the premier Valley Malls precinct, and would next month provide an outdoor cinema screen which will show family-friendly films throughout September. “The Valley Malls precinct is already home to events such as Valley Fiesta and Valley Multicultural Festival and the Chinese Moon Festival is another great example of the diverse offering of live entertainment and events in our community,” Cr Howard said. “To ensure our Malls precinct continues to flourish, Council has introduced a new outdoor cinema, offering parents and their children another great option for an evening’s entertainment. The Chinese Moon Festival will be held on Friday, 16 September and runs from 5-10pm, following on From Valley Fiest, which takes place from September 10-12.